I used to think I’d get my loans forgiven through the federal Public Service Loan Forgiveness Program, but now I’m not so sure. In exchange for 120 payments made while working for the government or a non-profit, the federal government would “forgive” my debt, which it actually created through its own loan scheme and how it has chosen to regulate tuition. It essentially coerces debtor students into public service on its own terms. It precludes us from working for ourselves. In exchange for loan “forgiveness,” the federal government takes away our sovereignty and freedom to contract, with all the coercion of the state. Maybe this is fair, you say, because we chose to take out federal loans, and therefore the federal government gets to set the terms, and beyond that, isn’t Congress generous for forgiving those loans altogether? We have to remember that Congress also created the circumstances within which we have to take out loans in the first place. They have kept most Americans too poor to afford law school tuition outright, and have allowed law school tuition to soar. When I worked at a public defenders office for three years, I saw some good lawyering and some bad lawyering, and very few consequences for either. Public defense work was largely driven by the attorney’s own moral convictions since there were few rewards for good work besides self-satisfaction. Prosecutors who prosecuted bad cases got to shrug off the loss, public defenders who surfed the internet got paid the same as those who didn’t. In the private sector, clients can dispute payment where an attorney does not deliver a quality service, or more likely will simply take their business elsewhere. In government and non-profits, this is not the case. There are few mechanisms holding the defense attorneys accountable to their client. And federal loan forgiveness entrenches this problem by precluding its student debtors from providing services to clients within some kind of quid pro quo framework. Federal loan forgiveness is not the only way the federal government stymies public service. Non-profits receiving federal funds, for example, are precluded from bringing class actions, arguably one of the most important tools in an attorney’s tool-kit for public service. The federal government sets these terms. The federal government has also intervened in regulating prison litigation with disastrous effect. Prisons desperately need systemic reforms, yet Congress has regulated prisoner litigation through the PLRA to the point of almost liquidating it altogether. My point, I think, is that I have a different definition of the “public good,” and hence “public service,” than the federal government. After all, the federal government has largely created the mess we are trying to change. I may still very well seek federal loan forgiveness, and I more than understand anyone else’s choice to do so. But I hope we recognize the contradiction in the program: that through federal loan forgiveness and refusing to regulate tuition, the government gets to say what kind of public service work we do; it forces us to work by its rules. It precludes us, who want to be public servants, from having the financial power to serve the way we think is right. I’d like to argue that there is something good about the kind of relationship where a client pays for legal services in some way, perhaps not with money, but by bartering a skill, or their time, and we might have to be creative in imagining what that payment looks like. I’d like to suggest that the federal government, through programs like federal loan forgiveness, prevents us from being the most effective public servants we can be. Nina Goepfert is a second-year law student from Manchester, Massachusetts. She graduated from Oberlin College in 2010, and worked for three years as an investigator for public defenders in Brooklyn, NY. 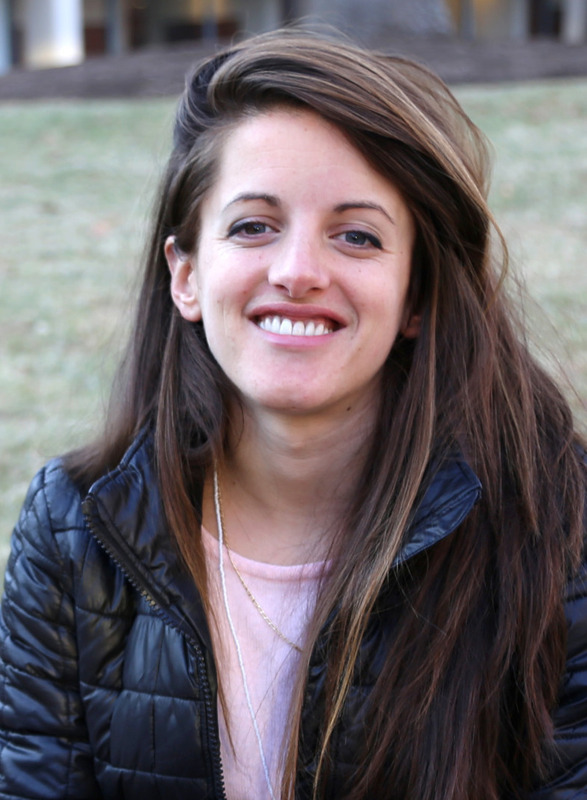 Along with other students, she founded the Virginia Law in Prison Project at UVA Law.